Lomart Deluxe Pack: Required Choose Options Upgrade to a 20" Sand Filter & 1.5 HP Ultra Pump. Standard 17" Sand Filter & 1.0 HP Pump. provide years of pool enjoyment. Poly-Lam coated 8" Painted Top Rails and Verticals. 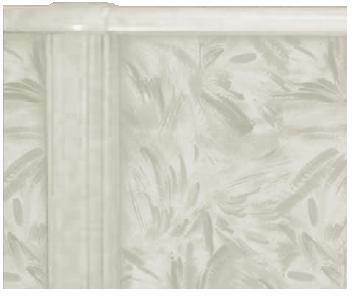 Poly-Lam coated , baked-enamel, 52" high pool wall. Textured Resin Top Connectors are corrosion resistant and feature our textured pebble-grain design. Tru-Lock Wall Closure offers a newly-designed fastening system for maximum strength, greater wall stability, and a faster, easier assembly. Your Choice of Heavy Duty, UD Liner! We use a special blend of natural, raw materials that insures top-quality vinyl for all liners. The ultra-violet inhibitors protect the liner from the sun’s rays as well as enhance longer life. In addition, our quality premium liners are a full 20 Mil thick on both the sidewall and pool bottom to assure superior performance. The first three years of all our liner warranties are covered 100% against manufacturer defects. The remainder of the warranty is prorated. All our liners are sealed with Fusion-Weld a sealing technique, unmatched in the industry, which provides durability and supreme quality. We are so sure of this sealing technique that we give all our liner seams the Strongman Warranty ? 100% for a Lifetime. Package includes Filter, Pump, Skimmer, Ladder and Cleaner! 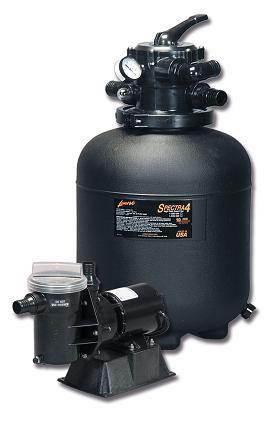 Spectra 4 Model 417 filter features/benefits High-rate sand filters offering exceptional filtration with minimal effort. 6-position multi-port valve functions for Filter, Backwash, Recirculate, Pump-to-waste, Filter-to-waste, and Winterize. Molded, upper tank distributor for maximum water dispersion. Large Access Port with V-Band Clamp allowing easy access into tank unit for efficient sand loading or filter maintenance. One-piece, full diameter circular under drain to prevent channeling of sand bed. 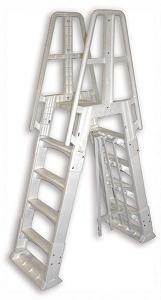 Molded of specially formulated resins for maximum durability. 11/2" hose and fittings for positive hose seal. Easy-to-read pressure gauge indicates when filter needs cleaning. 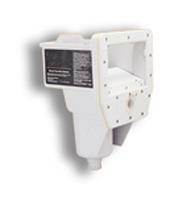 Automatic air relief to eliminate excess pressure which could damage the filter tank. Uses #20 grade Crystal Silica Sand for exceptional filtration. Drain Port for easy removal of debris. Special Limited 10 Year Warranty on Filter Tank. Your guarantee of excellent quality. Heavy Duty, molded ABS Construction for maximum durability and long pump life. 11/2" Inlet and Discharge for convenient hose hook-up. Self Priming for superior efficiency and easy pump startup. Stainless Steel Hardware to maintain structural integrity. 3" Power Cord with large twist lock plug. Family Safety Program. We are committed to pool safety! 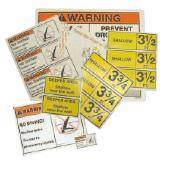 Our safety handbook, liner decals, video and sign age, recommended by the US Consumer Products Safety Commission, are included with every pool! However, as a pool owner, it is your responsibility to learn, understand and enforce all safety rules and regulations. Note: Our pools are designed for swimming and wading only. Do not dive or jump. Always obey and enforce all safety rules to avoid injury. Product Warranties. We back our products with generous warranties and consumer service policies. The first 3 years of our pool and liner warranties are covered 100% against manufacturer defects(the remainder of each warranty is prorated). There are many choices in today's above-ground pool market . Our pools are among the best in the industry and we would like to prove it to you. Read over our facts and Dare to Compare us with our competitors! We are confident you'll agree our pool is your best choice for above-ground swimming pools. Dare to Compare! Heavier Pool Walls. 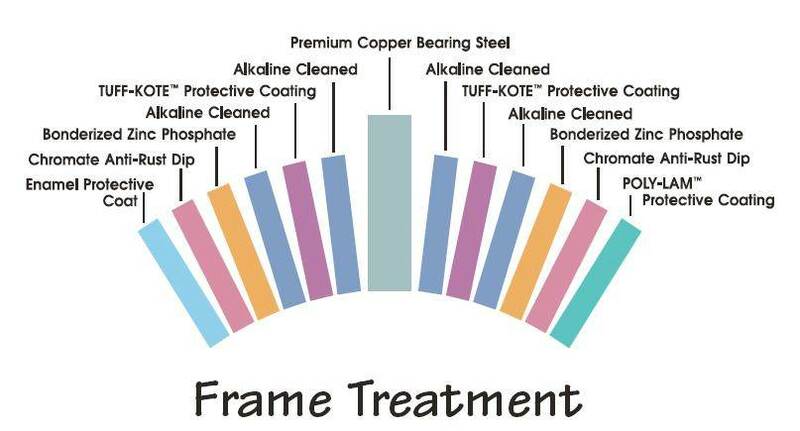 Fact: Our walls are made from heavier Copper Bearing Steel than industry standards 30 to 60 pounds heavier for superior strength. More Vertical Supports. Fact: Our pools have as many as 20% more vertical supports than other brands to ensure stability during heavy family use or the coldest of winters. Precision Frame Holes. Fact: Our pools are built with strength throughout, right down to the vertical end cap holes that allow for precision-fit construction. Other brands use the cheaper, easier to produce slotted holes that weaken the pools structural integrity. Shake a GSM pool and you'll know it's well built! Family Safety Program. Fact: We are committed to pool safety! 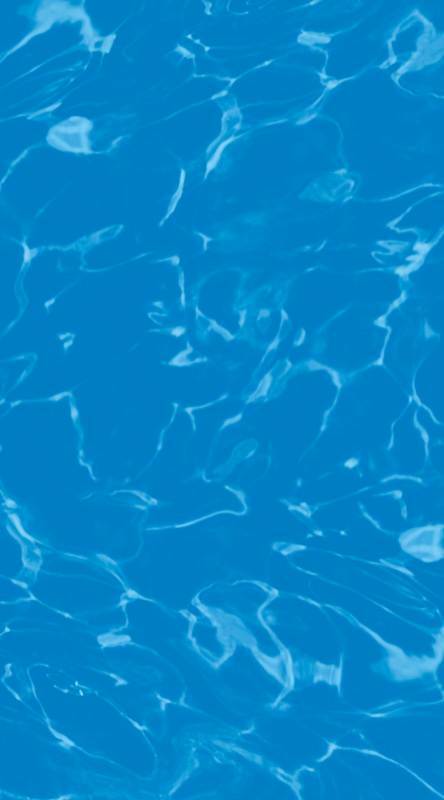 Our safety handbook, liner decals, video and sign age, recommended by the US Consumer Products Safety Commission, are included with every pool! No Stainless Panel. 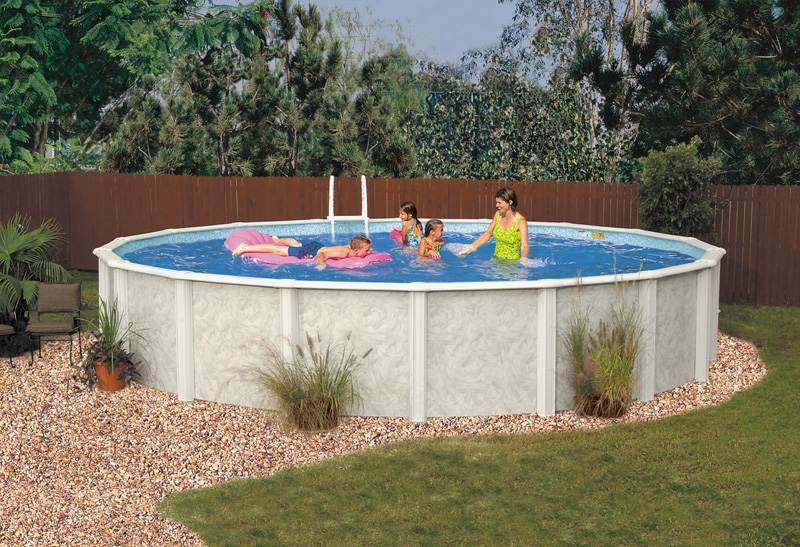 Fact: Our pools unique design protects the pool wall from leakage and damage. 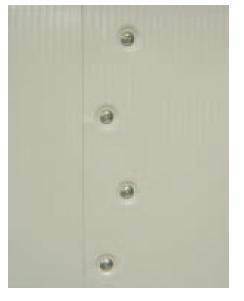 Using a special skimmer U-gasket and advanced wall coatings, we eliminate the dangerous effect of Dissimilar Metal Corrosion which is caused by incorporating stainless steel panels with galvanized steel pool walls. Over time this will cause the wall at the two connection points to rust away and lead to pool failure. 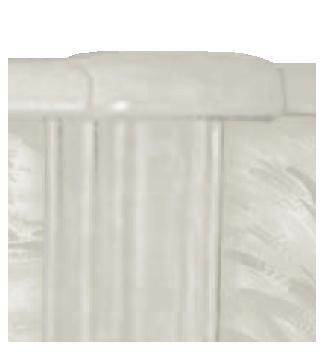 Our designs ensure structural integrity and beauty throughout our pool line.